The Bustard has been busy with real work and novel writing, hence its absence. Now right back to climate policy. 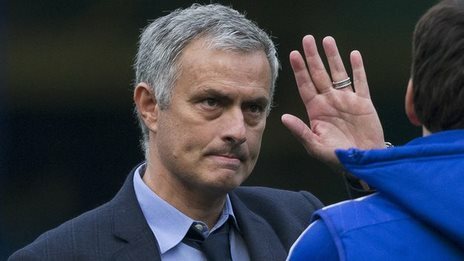 The special one, Jose Mourinho, is no longer so special, and his second stint at Chelsea came to a sorry end a couple of weeks ago. In the end Mr Abramovich lost faith and it was time for change. I have heard the case that steel is special, and cement are special: without them we wouldn’t have the built world which is an integral part of the civilisation we know. I have heard it argued that aviation is special because it gives people an amazing freedom and the chance to discover the world. Industry lobbyists argue to the European Commission that they are special (technologically, economically, socially, and so forth) and therefore need particular protection under the EU ETS – that is, they need lots of free allowances. I don’t think the special argument should work, because, funnily enough, everyone is special (and when they are under threat of CO2 regulation, they get all the more special.) If you make exceptions for everyone because they have their little bit of special, you end up with ineffective regulation. The Commission needs to argue that being special is no longer enough to get free allowances. Rather, these industries, whose very existence is threatened by strong climate regulation, need to change tack and embrace the challenge less ambiguously. They should say: we want plenty of free allowances because this is the 2050 Zero Emission Marshall Plan for our sector: we are teaming up with all the main global manufacturers and are jointly establishing a biennial technology prize of $1m for the best advance in cutting emissions in our sector; we are teaming up with MIT or Max Planck Institute to create a dedicated crack team of scientists to crack the top five technology problems in our sector; we are establishing a $1bn fund for investment in R&D and promising new low-carbon technologies; we are training 10,000 engineers world-wide in cutting emissions from operations; we are forming teams with users of our products (food producers, farmers, architects, engineers, builders, or what have you) to minimise down-stream emissions from our products… and so forth. Note: doing things, not planning to do things. If it means a degree of collaboration that blows a hole in competition orthodoxy, blow hard. So by all means support these industries. But not because they are special ones. Rather, because they are dead seriously committed to a bold, aggressive plan to take us to zero emissions by 2050 and they need all the help we can give them. This entry was posted in Climate change policy and tagged cement, Clean technology, climate policy, EU Emission Trading Scheme, EU ETS, fertiliser, leakage, lobbying, Mourinho, steel, zero carbon. Bookmark the permalink.